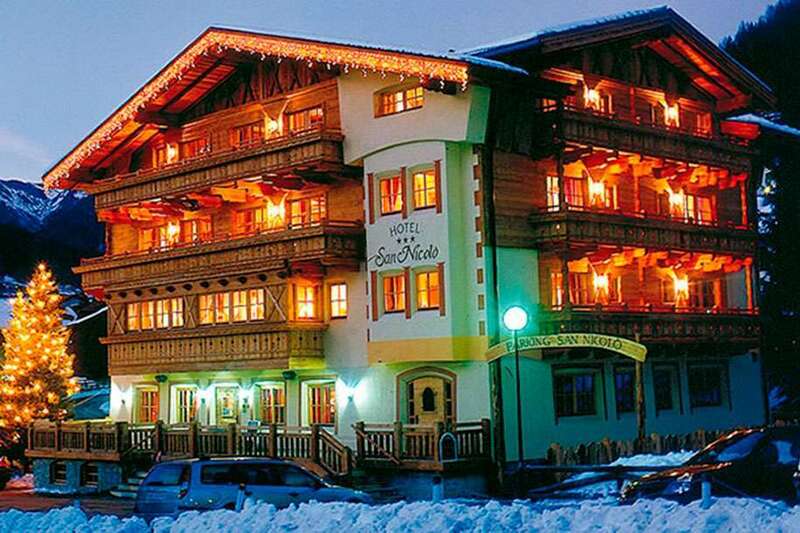 Hotel Garnì San Nicolò is just a few seconds from the ski area for Buffaure and the summer brings bike rental and a wellness centre. Designed with a rustic mountain theme, the rooms have free WiFi, an LCD TV, and a picture-perfect view of the surrounding mountains. Every morning, guests are served a choice of sweet or savoury breakfasts from homemade cakes to cold meats, cheese to eggs. Depending on needs, sugar-free foods are available as are organic meals. Throughout the day, the dining area will offer sandwiches, polenta, bruschetta, and various other snacks. Finally, dinner can be obtained at Ta Mongo; a fantastic restaurant nearby. To reach ultimate relaxation, visitors have access to wellness facilities including a relaxation room, Finnish Sauna, and a Turkish bath. For convenience, Hotel San Nicolò has free parking and skis for hire.